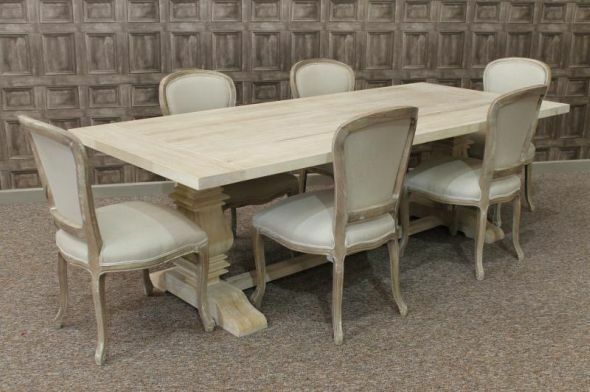 This large limed oak dining table with a tuscan pedestal base is a fantastic addition to our extensive range of dining tables. 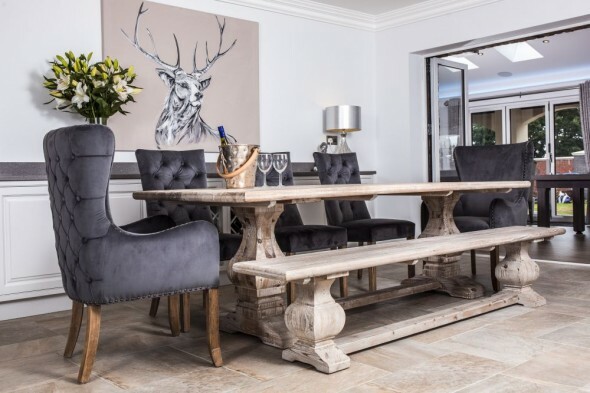 This magnificent solid oak limed dining table features a 40mm thick oak top, and large oak pedestal legs. 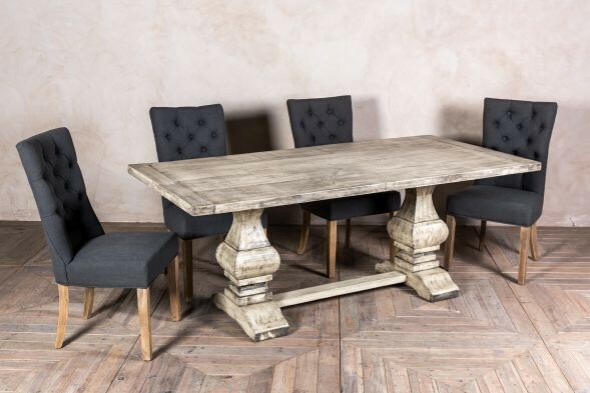 This tuscan dining table will complement any period or contemporary interior, and can be supplied with a range of matching chairs from our large range of dining chairs. This 2.4m limed oak table can comfortably seat from eight to ten people, and comes in a knock down form. The table can be assembled upon delivery at a small additional cost. Please note that the chairs pictured with this table are not included in the listing, but can be purchased separately. Please see our other listings as we stock a wide range of complementing dining chairs; perfect for this beautiful tuscan table. Again in limed oak, these chairs feature a neutral linen covering enabling them to complement a range of different colour schemes in any home.